Unicorns are here to stay! The magical unicorn theme that has been popular for kid’s parties for so long is showing no sign of vanishing. We think the key to the ultimate unicorn birthday party is imagination. After all, unicorns themselves are out of this world! 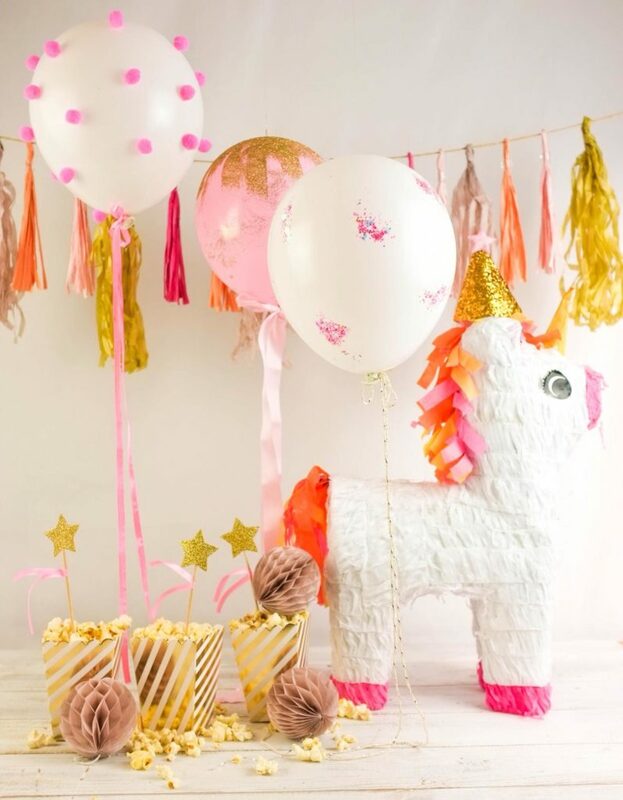 If you’re planning a unicorn birthday party and fancy getting creative, here’s some inspiration on how to add a magical touch to your decorations. Don’t worry if these ideas are a bit on the adventurous side for your party plans you could always use illooms to add magic and sparkle to the party. The decorations are a huge part of a successful occasion; they are often what your guests remember. However, remember the most important thing is making sure the birthday girl or boy loves every minute of their special day. We used this years colors of pinks and corals to stay on trend and tie-in with the unicorn theme. We added pom-poms and glitter to make our illooms look even more special. It makes them shimmer by day, then when the lights go out, they really come to life and light up the party in a unique unicorn style. 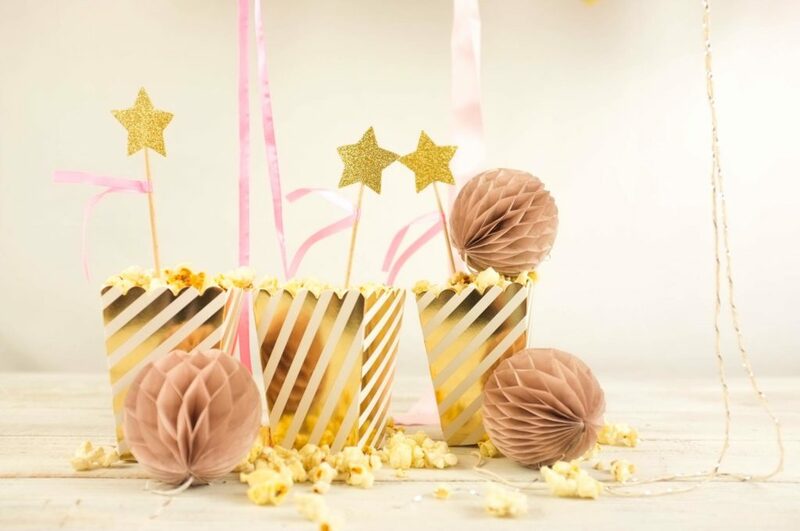 We used these gold, striped popcorn boxes from Søstrene Grene for a party snack with a sparkly touch. They would look especially effective alongside our gold illooms, adding yet more of a magical glow to the party. We also used these gold honeycomb decorations (also from Søstrene Grene) with the boxes to add an extra dazzle. We found this amazing unicorn pinata at Tesco. It is not only in-keeping with the theme but is great fun for the kids! Your unicorn pinata sits alongside the other decorations until it’s time for party games and activities or it’s spotted by the guests. It’s a well-known fact that kids love pinatas at parties (or any other time to be honest) – let the kids sort themselves into teams, stand clear and let them loose. Whoever releases the goodies first is the winner! 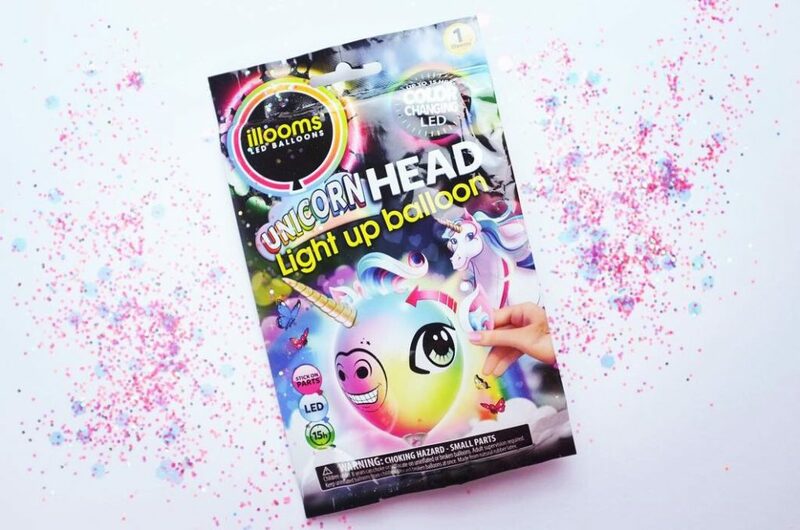 Moving away from the actual decorations, our Make Your Own Light Up Unicorn Head balloons do just the job as party bag fillers. 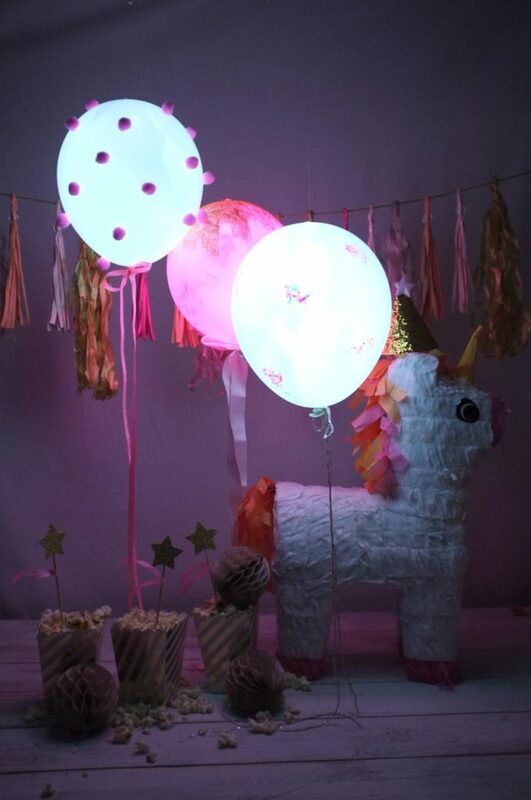 Either use them as another party activity so your child’s friends have a light up unicorn of their own to take home with them, or send the guests home with theirs so they can assemble them with their parents. They look really cool and are so easy to assemble. 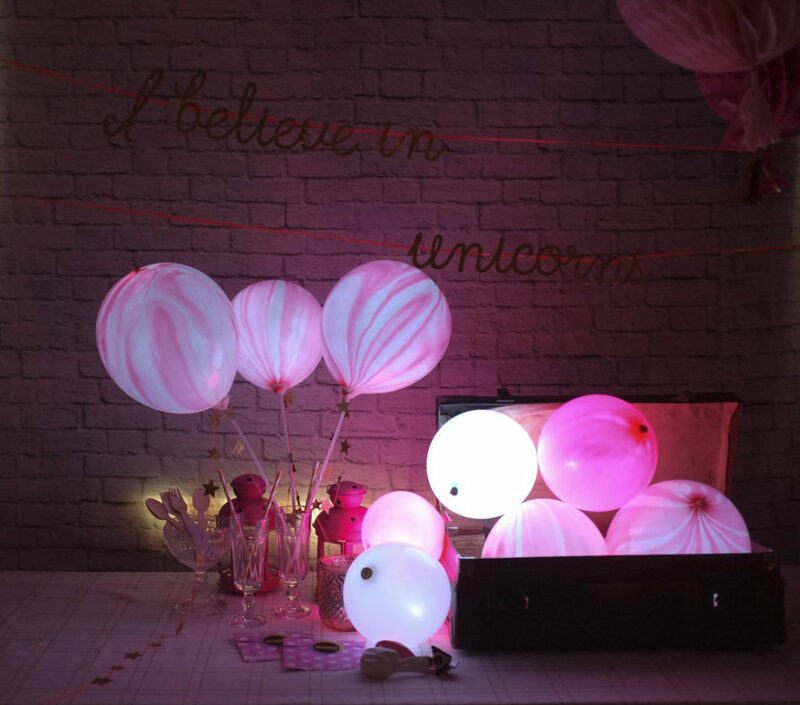 Our pink marble light up balloons also tie in extremely well with the unicorn theme. The vibrant pink swirls look great, especially in the dark when the birthday cake comes out and the lights go off. The pink marble design adds an enchanting touch to the celebrations and will make any unicorn-related event special.